In December, we announced the launch of Kim’s latest book, Busting the Life Insurance Lies, co-authored with Jack Burns and James Ranson. Below are two excerpts from the book, one from Part One. First, we include the conversation that sets up the first several lies and shows how each lie is related to real-world myths and concerns as seen through the eyes of a family. 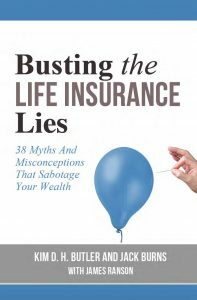 Next, we jump straight to Lie #1, “Life Insurance is a Bad Investment.” This is the first of 38 lies and half-truths “busted” in the book. “Make more money investing, but yeah, sure, both are better than insurance,” Chad said around a mouthful of turkey. “All the insurance companies are the same: out to take your money. Why do you think they get such big commissions?” There was general nodding in response to this declaration. Kara noticed her father didn’t join in. The rate of return is poor, I can do better investing elsewhere. If I buy life insurance I’ll lose out because I can’t invest elsewhere. I have to die to get any value out of life insurance, so I’ll invest elsewhere. When people hear statements like these, they tend to jump ship and pursue other investments…without actually checking to see if any of them are true or not. And they end up missing out on all the huge advantages that come with whole life. First of all, we don’t feel like whole life should be called an investment in the first place, because it really isn’t one. It doesn’t actually invest in any market, it isn’t dependent on stock market swings, it doesn’t require a broker or financial advisor to manage it, it has much better liquidity and accessibility, it’s much more likely to pay dividends, it provides a death benefit, its fee structure is very different, its growth is tax-deferred as long as it stays in the policy…the list of differences goes on. A whole life policy is not an investment, but it IS an asset of the highest quality. It’s a place to store liquid cash that also provides immediate protection benefits. It’s permanent life insurance, AND it’s the best long-term savings vehicle we know of. 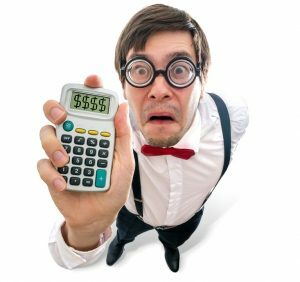 Not only does calling it a bad investment belie its relatively strong rate of eventual return, calling it an investment at all creates confusion around what whole life is, why you’d use it, and how to compare it to its alternatives. Plus, don’t overlook the death benefit! This is an immense “return” that a whole life policy gives immediately and permanently as soon as you pay the first premium. Too often, self-proclaimed financial experts, gurus and bloggers neglect to include the death benefit at all when comparing whole life with other assets. Of course, this skews build over time. You can also use your cash value as collateral for another investment, or you can lean on it as a safety net if you run into any investment issues. For instance, real estate investors have a high need for liquidity for repairs, vacancies, and down payments on new properties. Whole life is a fantastic place to grow and keep cash that can be easily borrowed against. This is why whole life insurance is an “and” asset, meaning you can have cash value for emergencies or opportunities and use it to invest in other things. Compare that to a 401(k) or 403(b) retirement plan as an example. We call those “or” assets, because you can either invest in them, or you can keep your cash liquid. With these products, you’re essentially putting your money in a box and throwing away the key. 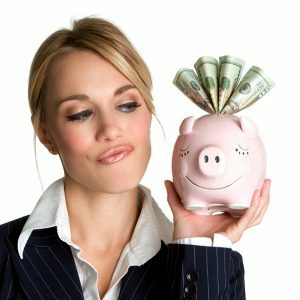 Try to get anything out of a 401(k) or IRA before age 59½, and you’ll likely pay significant penalties. This is why, if you only have the funds for insurance or investing, we’d recommend starting with insurance. You’ll want to build your savings and emergency fund first so that you don’t end up liquidating investments for car repairs or medical bills. 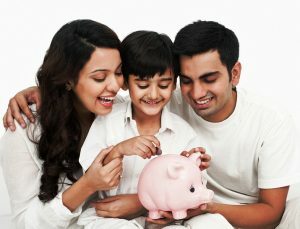 Not only should you start saving BEFORE you invest, but you may also want to put some protection in place, especially if you have a spouse or any dependents. This is another way that whole life is an “and” asset…you’ll be protecting your income while you’re saving for the future! Finally, if you’ve been wary of life insurance because you’ve heard that you have to die before you get any value, hopefully you now understand this is not true. While many investment products (even good ones) are designed so that you DON’T have access to your money, whole life is just the opposite. It’s a financial foundation that is designed to be used…your whole life. If there’s one thing we’d like you to take away from this book, it’s that life insurance is a tool for improving your life, not just covering for your death. No financial vehicle is as useful as whole life for emergencies, opportunities, investments, for providing your own financing, permanent protection for your earning capability, or for your peace of mind.